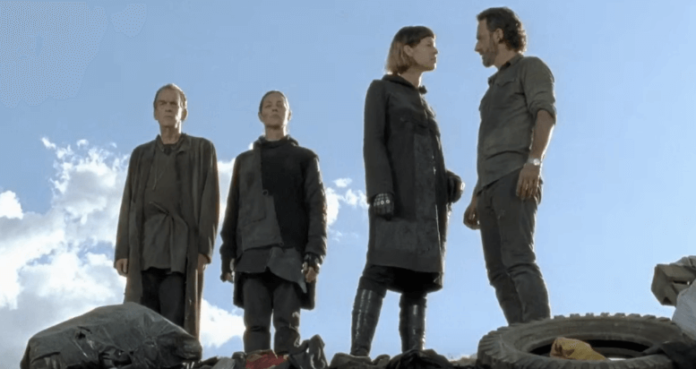 The Walking Dead Season 7 Episode 10 Spoilers, Air Date, Promo: One of the most beloved TV series, TWD is back for the second half of its seventh installment. The fans probably received what they could have asked for a midseason premiere. In ‘Rock In The Road,’ we got to see intense action, touching moments, and Rick & the group came back together. The Walking Dead 7b started on a fantastic note, and it appeared that the things would continue to increase in quality thereon. After that, the network released the TWD S7E10 synopsis for the segment titled ‘New Best Friends’ to be aired next week. It will carry on the events which left with this past Sunday episode. At the end of the segment, we could see an entirely new group surrounding Rick. All of those men were carrying heavy arms. It appeared that Rick has finally found the relevant and required quality army. Now, he can move on to take on Negan. With his smile, the episode ended. Check: Arrow Season 5 Episode 13 Updates. The title of the upcoming week’s segment suggests a few things. Its prediction may be that Rick and Ezekiel would be seen working together. It could be possible that the new group may join Rick and his group. Previously, Rick had asked Gregory as well as Ezekiel to join his mission of taking down Negan, but the duo had declined earlier. TWD S7 E10 Promo is available now. TWD season 7 episode 10 will air on February 12, 2017, at 9 pm ET on AMC. Another show of the network AMC, Fear the Walking Dead season 3 hasn’t received a premiere date yet. However, the expectations are there that it will release on April 9, 2017, as the TWD finale is set to telecast on April 2. Stay tuned to The Reporter Times for latest TV series news and Entertainment updates.